Teachers are considered to be the second parents. 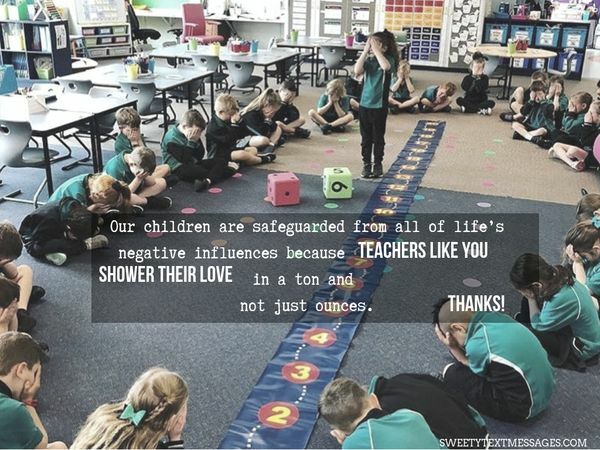 It`s not a nonsense for those, who know how caring and attentive teachers are! The task of a good teacher isn`t only to teach children or give them some knowledge. A good teacher has to do a lot of things, which parents do. 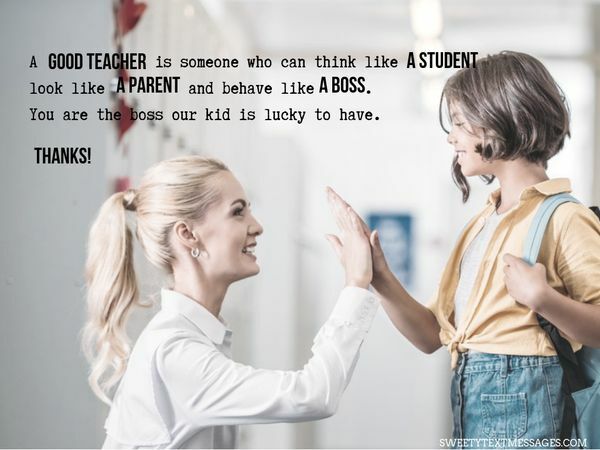 So, it`s evident that parents appreciate good teachers and feel it their duty to express their gratitude to them! That`s why various Thank You Messages for Teachers from Parents are such a popular phenomenon now! To be a teacher is a very hard work, which requires a lot of attention as well as moral and sometimes even physical strength. Thus, teachers need to know that their work is highly valued by both children and their parents. 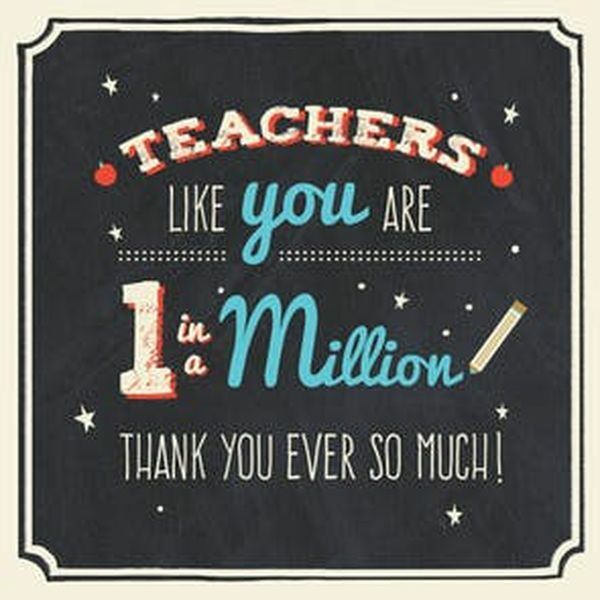 All teachers will be happy to get at least one Short Thank You Note to a Teacher from a Child or a sample of Words of Appreciation for Teachers from Parents! 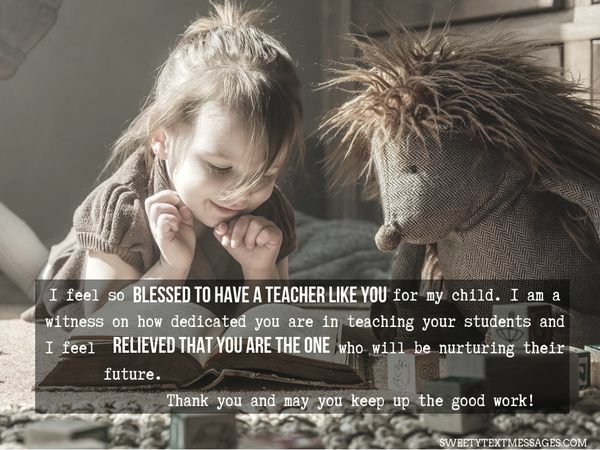 It doesn`t matter what teacher you want to gratitude to a preschool teacher or one in a high school. It`s clear enough that your support will be pleasant to all teachers, and will give them the strength to continue this noble endeavor. 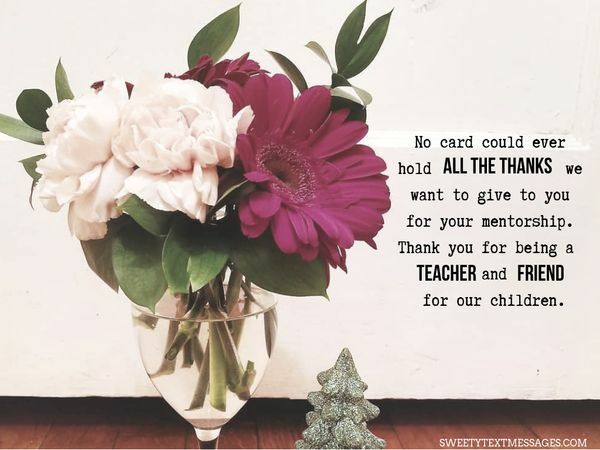 There are different ways to express your gratitude to a teacher! 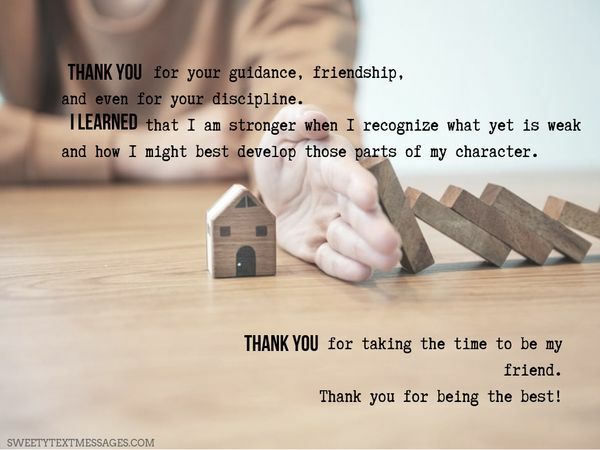 You don`t have to give expensive gifts to express your “thank you” for being a great teacher. 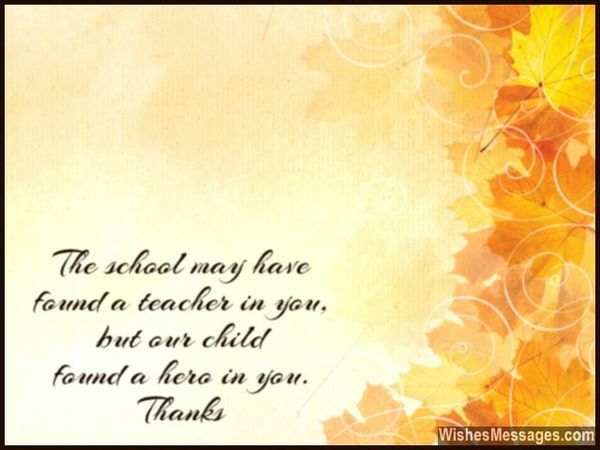 You may send various Thank You Messages or just say some Thank You Quotes to Teachers from Parents. This will be enough to demonstrate your appreciation of the teacher`s work! We are so happy that our child is enjoying preschool. It’s not easy to send your first child to school, but seeing what a ball he/she is having makes it a breeze. And we know we have you to thank for that. 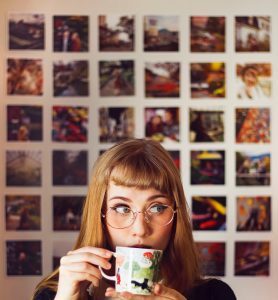 The activities you plan, the room you decorate, the friendships you help foster – it’s all incredible, and it’s helping our child (and us!) believe that school is fun, which is incredibly important. Preschool years have now come to an end! We would like to thank you for all your hard work, support and encouragement that you have given our children during their 3 years in the elephant group. They loved every minute of preschool and always came home full of enthusiasm and stories to tell. We can’t thank you enough for making their years so happy. We, parents may be accountants, scientists, doctors, and engineers – but nothing contributes to the nation’s development more than the sacrifices made by teachers. Thank you. Thank you for your guidance, friendship, and even for your discipline. I learned that I am strongest when I recognize what yet is weak and how I might best develop those parts of my character. Thank you for taking the time to be my friend. Thank you for being the best! An Inspirer. An Empower. An Engager. 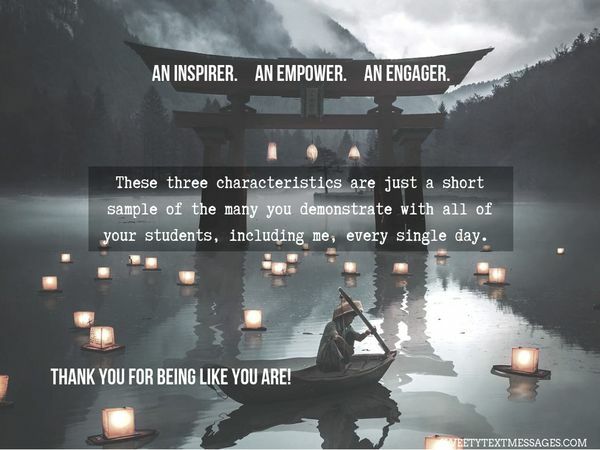 These three characteristics are just a short sample of the many you demonstrate with all of your students, including me, every single day. 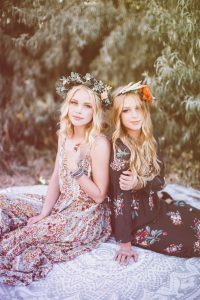 Thank you for being like you are! Thank you for your patience. Thank you for your time. Thank you for setting me homework. When I know there are lots of other places you’d rather be. Thank you for making me do my best. You didn’t just educate my kids. You taught them the importance of education. I am grateful to you. You were kind and considerate, but played the stickler when you needed to. You have played a key role in molding my child into a good human being. Thank you so much! 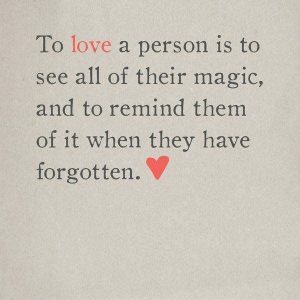 Just wanted to let you know how much we appreciate the work you do every day. I know we don`t say it enough, but you`re the best teacher, our children could possibly have. Thanks! 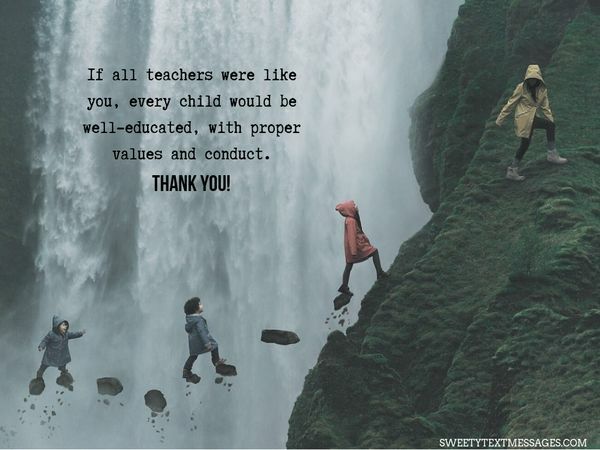 If all teachers were like you, every child would be well-educated, with proper values and conduct. Thank you! 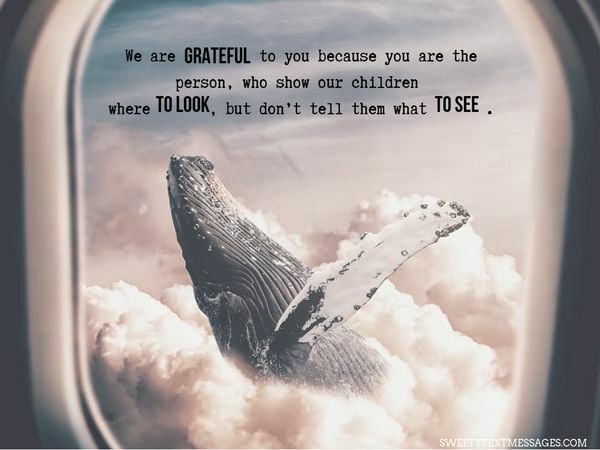 We are grateful to you because you are the person, who show our children where to look, but don’t tell them what to see. 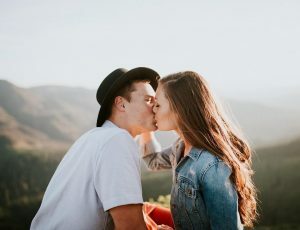 How can I express my gratitude to someone who has given so much of their time and energy, paying attention to my child’s growth and education? I’ll always be thankful to have you in my life. 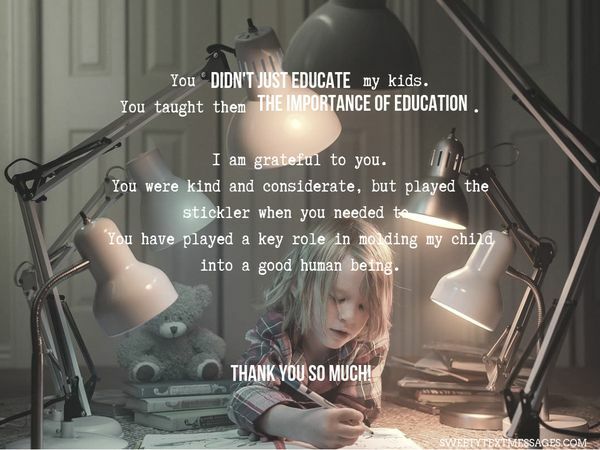 That we`re grateful for your hard work in helping our children to grow. 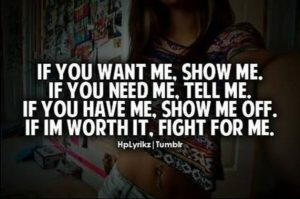 To tell them they can do it and to show them that you care!